Player 2 fakes run to outside cuts back in. Player 3 makes pass to player 2. 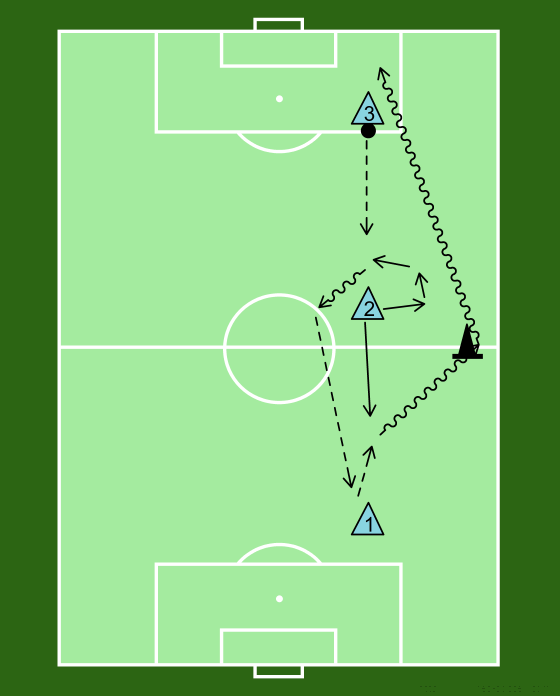 Player 2 makes pass to player 1 and runs towards player 1 to take one touch return pass. Takes pass and dribbles outside of cone back to player 3 spot. Player 3 sprints down to player 1 spot player 1 sprints to player 2 spot. Have same drill on the other side as well.